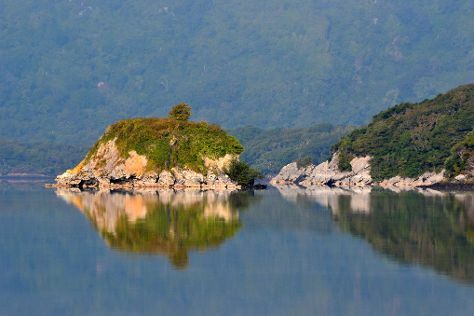 Start off your visit on the 18th (Fri): explore the striking landscape of Killarney National Park. Get ready for a full day of sightseeing on the next day: explore the historical opulence of Ross Castle, take in nature's colorful creations at Muckross House, Gardens & Traditional Farms, and then steep yourself in history at Muckross Abbey. To find other places to visit, where to stay, reviews, and tourist information, read our Killarney itinerary planner. Helsinki, Finland to Killarney is an approximately 10-hour combination of train, flight, and bus. You can also do a combination of ferry, bus, subway, and train. The time zone difference moving from Eastern European Time (EET) to Greenwich Mean Time (GMT) is minus 2 hours. Expect somewhat warmer temperatures when traveling from Helsinki in November; daily highs in Killarney reach 13°C and lows reach 7°C. Wrap up your sightseeing on the 19th (Sat) early enough to drive to Liscannor. Liscannor is a coastal village in County Clare, Ireland.GeographyLying on the west coast of Ireland, on Liscannor Bay, the village is located on the R478 road between Lahinch, to the east, and Doolin, to the north. On the 20th (Sun), tour the pleasant surroundings at Lahinch Beach, hike along Clare Coastal Walk Project, and then take in the dramatic natural features at Cliffs of Moher. For more things to do, ratings, other places to visit, and more tourist information, use the Liscannor itinerary planner. You can drive from Killarney to Liscannor in 2.5 hours. Alternatively, you can take a bus. November in Liscannor sees daily highs of 13°C and lows of 6°C at night. Finish your sightseeing early on the 21st (Mon) so you can drive to Kilkenny. Start off your visit on the 21st (Mon): take in the spiritual surroundings of St. Canice's Cathedral & Round Tower, sample the tasty concoctions at Smithwick's Experience Kilkenny, then take in nature's colorful creations at Rothe House and Garden, then step into the grandiose world of Kilkenny Castle, and finally contemplate in the serene atmosphere at Jerpoint Abbey. For reviews, ratings, and other tourist information, go to the Kilkenny vacation trip planner. Drive from Liscannor to Kilkenny in 2.5 hours. Alternatively, you can do a combination of bus and train. In November in Kilkenny, expect temperatures between 11°C during the day and 6°C at night. Finish your sightseeing early on the 22nd (Tue) to allow enough time to drive to Dublin. Get some historical perspective at Kilmainham Gaol and Trinity College Dublin. Satisfy your inner culture vulture at Temple Bar and Glasnevin Cemetery Museum. And it doesn't end there: sample the tasty concoctions at Guinness Storehouse, sample the fine beverages at The Old Jameson Distillery, steep yourself in history at James Joyce Cultural Centre, and get engrossed in the history at National Museum of Ireland - Archaeology. To find photos, maps, where to stay, and tourist information, refer to the Dublin trip builder. Getting from Kilkenny to Dublin by car takes about 1.5 hours. Other options: take a bus. In November, daytime highs in Dublin are 11°C, while nighttime lows are 5°C. Finish your sightseeing early on the 26th (Sat) to allow enough time to travel back home.